Brig. Gen. Patrick Mordente never knows quite how to answer when he’s asked what happens on a typical day at the 86th Airlift Wing he commands at Ramstein Air Base, Germany. Public affairs professionals shot more than 7,000 photos and 12 hours of video starting at midnight on June 18, said Maj. Tony Wickman, chief of public affairs at the 86th. All the work was done in-house, meaning there was no outside cost, he said. The project required months of pre-planning, coordination and post-production. The result was the digital book — which may be printed on a limited scale — and two videos. 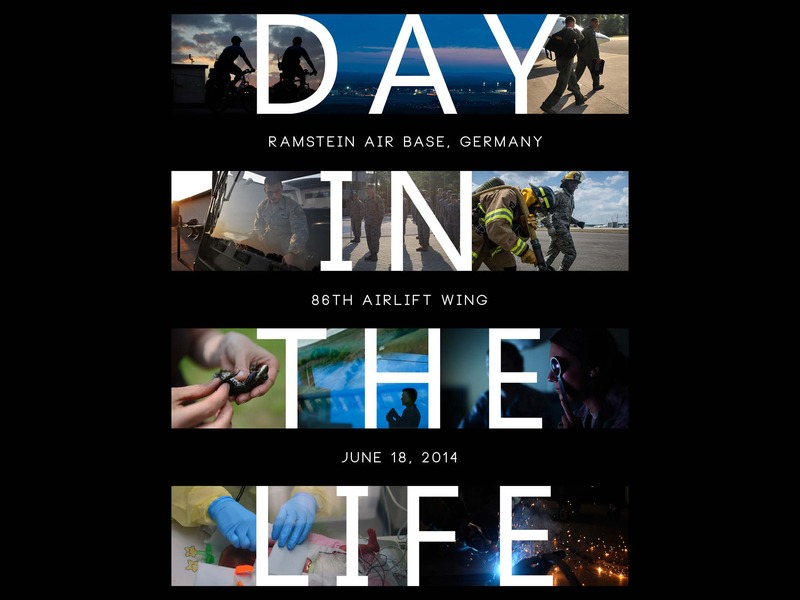 “Day in the Life” begins on the flightline minutes after midnight and includes the air traffic control center, the fitness center and mission briefings before sunrise. There are security forces members patrolling the base on bikes at dawn and airmen cleaning dishes in the dining facility. There’s an airdrop from a C-130, a mother with her newborn baby at the Landstuhl Regional Medical Center, a firefighter demonstration for local students. Hydraulics technicians make repairs, an airman swears his oath of re-enlistment, a propulsion tech performs an engine check. Airmen sort mail and inventory supplies, complete the physical training test and take on dozens of other daily tasks.